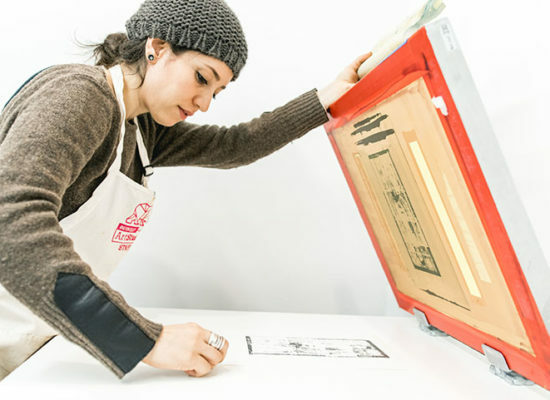 Discover the fun and flexible medium of screen printing! In this course, you will learn how to turn your designs into stencils, experiment with layering and aligning, and how to reclaim and reuse screens. This class is open to everyone! 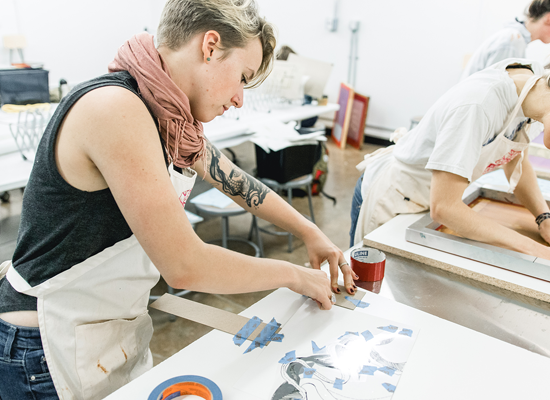 Beginners will learn the fundamentals, while more experienced printmakers will have time to print and learn more advanced tricks. All materials may be purchased at the Art Studio on the first day of class. Open Studio Hours: Monday-Thursday 12-6pm & Sunday 12-5pm. Hours will be posted on classroom door. *This class is 4 weeks and is priced accordingly. *No class 3/27; 4 week class and priced accordingly.